With the latest deals reached, the health authority said collective agreements are now in place until Oct. 31, 2020 with the union councils for health care, health support, health administrative professionals and nursing. 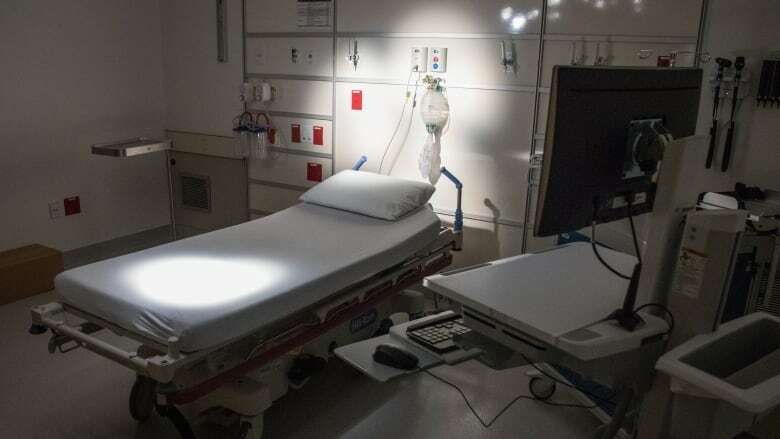 The final collective agreements have been reached for unionized workers employed with the Nova Scotia Health Authority and the IWK Health Centre, bringing an end to an arduous bargaining process that began after the province's district health authorities merged in 2014. The latest awards by mediator-arbitrator William Kaplan cover 7,500 acute care nurses and more than 4,200 health support staff. Carmelle d'Entremont, vice-president of people and organizational development with the health authority, said the NSHA and the IWK — which was preserved as a separate entity when the authorities merged — were "pleased and encouraged" by the resolutions. "These were complex negotiations and required plenty of thoughtful work on all sides to reduce and consolidate almost 50 agreements down to four agreements per employer," d'Entremont said Tuesday in a news release. The Nova Scotia Nurses' Union said the nursing collective agreement came following mediation-arbitration that took place late last month. The biggest gain was the achievement of one collective agreement for all nurses, said union president Janet Hazelton. The Council of Nursing Unions — comprised of the NSNU, CUPE, NSGEU and Unifor — used to have nine different agreements. Hazelton said the new agreement gives nurses more flexibility. "If they take a job in Truro or take a job from Truro in Halifax or in Cape Breton, if they're working for the heath authority — for the most part — the hours of work, how they get work, how they get vacation are going to be the same across the board," she said. "And nurses are going to be able to take their seniority with them if they take another job. So their ability to move around the province has increased significantly." Hazelton said although there is one collective agreement for all unionized nurses in the province, there are still some minor differences. For example, Hazelton said the unions were not able to discuss sick time regimes, but "by and large, 221 pages are consistent language." The agreement takes effect Feb. 1, 2019. A collective agreement was also reached for the health support bargaining unit, which includes employees within the acute care setting, such as housekeeping, dietary and other services. In August, Kaplan forged a significant, provincewide collective agreement for more than 6,000 heath-care workers after a nearly two-year contract dispute with the health authority and the IWK. It was the first contract negotiation after the district health authorities merged. The council representing NSNU, CUPE, Unifor and NSGEU held more than 50 sessions with employer representatives, trying to negotiate 16 collective agreements down to one each for the health authority and the IWK. In September, Kaplan issued an award for more than 3,000 employees in the health administrative professional bargaining unit. "We feel the decision this week from Mr. Kaplan, following a constructive mediation arbitration, is a fair and reasonable result for the employees and employers," Steve Ashton, IWK vice-president of people and organizational development, said in a news release.